Unintentionally, we've been living out of duffel bags for an entire month. We moved out of Shalom before the floors were finished in our new farmhouse. 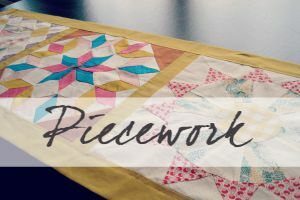 (You can see a little more about Shalom here, and if you're interested, here's all our home renovation projects on the farmhouse). We thought it would be a week, maybe two at most, to finish up our hardwood floors and then we'd move in to our farmhouse. We packed up all of our belongings, except for the necessities we needed for a week in our camper. And then my husband's back had issues, which effectively eliminated more than half of our "hardwood floors action team." Add in a couple of busy weekends at work, and our idea of one week turned into more than a full month. Even though this wasn't what we planned, this whole situation has been quite the teacher. I've been interested in living more simply for a long time, but our circumstances forced us into it. Granted, this wasn't the same as, say, taking a 6-week road trip around the country, or renting out our home and living with friends for months at a time. 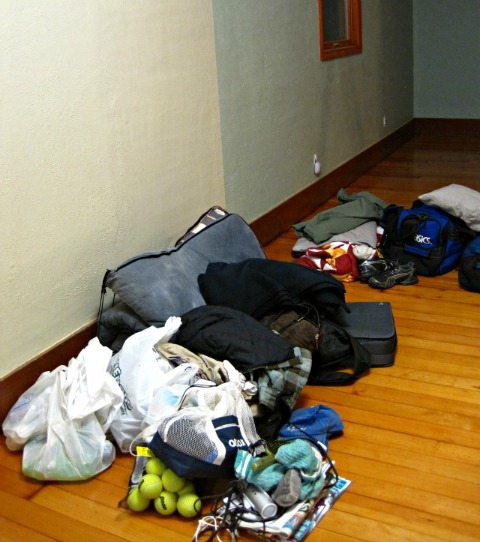 We didn't give all of our possessions away- they were simply packed up and waiting for us. But even through this not-terribly-extreme lesson in simplicity, we still learned a lot. 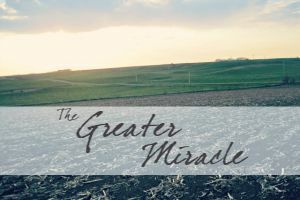 It's easy to say that when things are going well, I realize, but it's when everything is going wrong that God's provision really comes into focus. He's been with us the entire time, working it all out for our good. 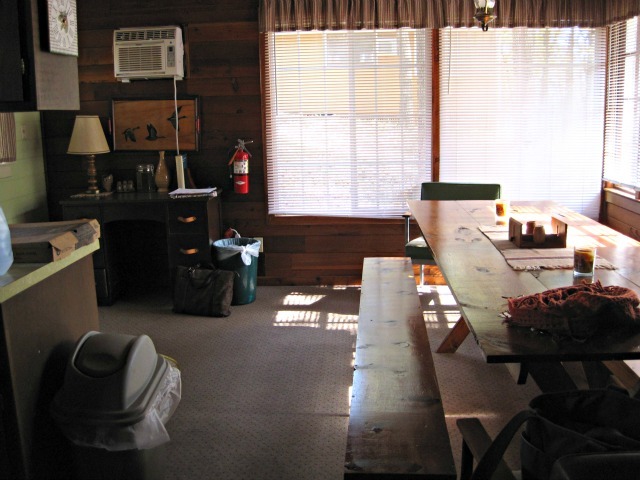 For example, if it wasn't for the fact that we work for a wonderful camp, we wouldn't have had a place to stay for weeks 1.5 - 5. We also were so provided for with paid sick days, and people who could cover for us at work. God also provided for us through the hands of great friends who faithfully prayed for us, brought us remedies, offered their help, and held us up with their kindness and encouragement. In a little more than one month, we've gone from our home called Shalom to a camper in our backyard, to a cabin at camp, to a different cabin at camp (in the picture above), and finally to our farmhouse. For a homebody who loves her schedules, it's been... different. And it's reminded me that "home?" It's not really a physical place, but more a state of mind. 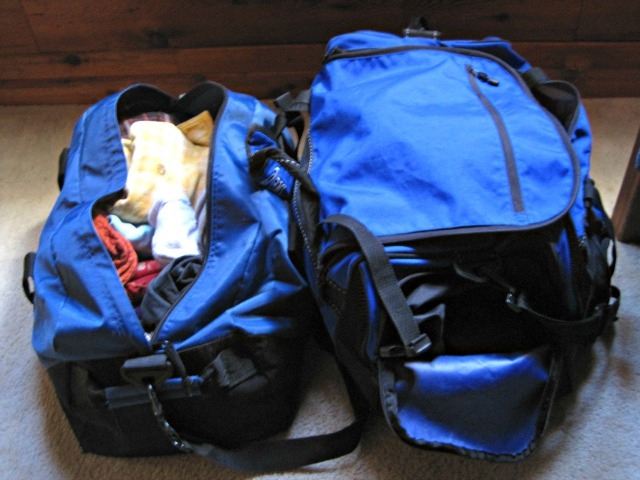 My duffel-bag-closet includes two pairs of jeans, a skirt, three long sleeved shirts, four t-shirts, a cardigan, a little jacket thing that my husband calls "that cape," my orange scarf (the Menards one! ), and my yellow flannel shirt. And two pairs of PJ's, but I didn't wear any of those to work. It wasn't limiting at all, to have my clothing choices so narrowed down. Yeah, I wished I would have packed one warmer sweater or cardigan, and I really wish I'd brought my raincoat. But all in all, it was almost kind of freeing- I didn't have to sort through a full dresser to get ready in the morning. This is the entirety of our clothing for the past month- with the exception of the clothes I was wearing, and our jackets. But otherwise, this was it. I was pretty stuck on my laundry-every-day schedule- in part because I'm forgetful and having the same habits every helps me to remember to do stuff. But maybe, just maybe, the fact that my laundry room has a constant stream of clothes coming and going for only two people, is a sign that we have too many clothing items. With only seven outfits and two pairs of shoes (I know! Somehow, all my shoes got packed except my clogs and cowboy boots! ), everything had to do double-duty. 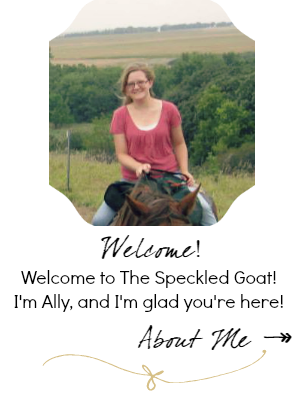 My cowboy boots went well with the skirt and with jeans. A shirt that I wore on Tuesday at work was the same one I wore the next Sunday to church. The orange scarf went with a white t-shirt or the blue long-sleeved t. My yellow flannel shirt works with... everything. It works with everything. The only toiletries we brought were one bottle of 3-in-1 shampoo (my husband's... but he's a good sharer), a bar of soap, my (limited) makeup, a bottle of lotion, deodorant (we each have our own of those), toothpaste, toothbrushes, and my hairbrush (which I shared so my husband could brush his beard). 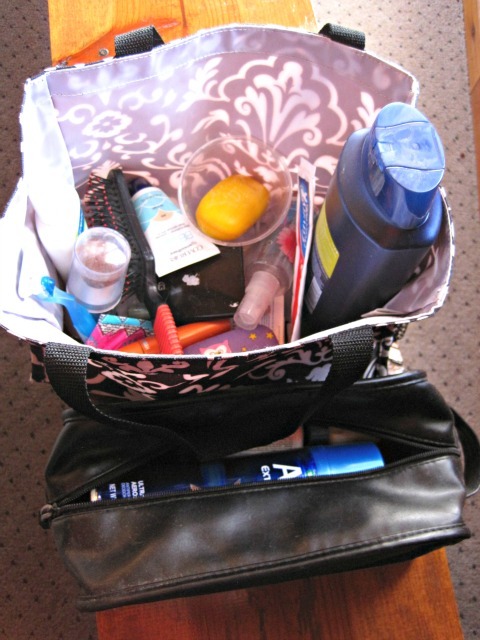 All the toiletries we used for a month fit into these two bags. Really. So, why do I have three boxes in storage labeled "Bathroom Toiletries?" Do I really need three kinds of hair serums when I wear my hair in a ponytail more than 95% of the time? Or a whole bunch of unused gift lotions? Or all those nail polishes I don't use? But I don't need them. And while I would have told you that I know that none of these things are needs, in my heart, I really kind of felt like... like I needed them. In truth, the only things I really need are clothing, food, and shelter. 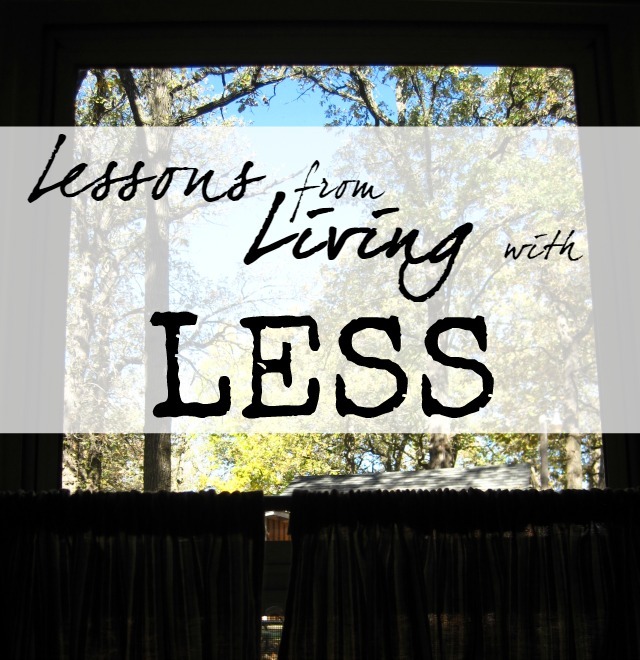 Living with less has taught me that in a very tangible way. Yeah, this doesn't work. Let's just not even talk about this mess. When I couldn't find my phone charger while we were living in Shalom, it was no big deal. I'd just use my husband's, or the spare in the office. But when we started living out of duffel bags, we had one phone charger and not finding it was not an option. Living with less meant that we had less stuff, yes, but it also meant that our stuff had to be organized and easy to find, because with only one pair of boots, I couldn't just choose another pair to put on in the morning. When we looked at living in our camper for just a little while, it was easy to have an adventure attitude. We started out October on a high note- lots of positive thinking and lots of fun. And then Trevor needed care and was in pain, work was so busy, and it was so hard. It was so hard to be content in our very fluid living arrangements. It was hard to find peace when I didn't know what tomorrow would bring. And I just... I just really wanted a place to be completely comfortable- a place to call home. I can do all of this (being hungry, being in want, living in every situation and every circumstance), through him- through Christ. 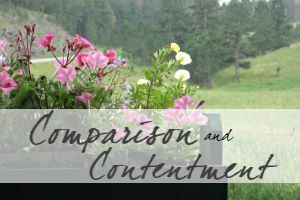 I can be content with little and with uncertainty, because Jesus is more than enough. He's got this, and he'll give me strength. I did a lot of praying in those few weeks, and I think that yes, I was definitely strengthened through Jesus. I'll be completely honest, here: I like my stuff. I really do. I enjoy having decorations that bring me joy and allow me to make my home pretty and pleasing. I like having choices of what to wear. I like buying some things in bulk and stocking up. And we're blessed to have all those options. So, so blessed. It's tempting to use this time of having less as a way of shaming myself into giving away a lot of my stuff. Into feeling like wanting nice things makes me less.... spiritual. Less Christian, somehow. But I'm not going to let it do that. I have a friend who mentioned a while back that sometimes, she feels like she needs 'permission' to get rid of things that don't bring her joy or don't fit right or don't get used. I totally get that. I feel the same way a lot of the time. And I think this experience has done that a little bit for me- it's given me permission to say, you know, we don't really use all of this. We have seven travel mugs, for example. We don't need them, they take up space, and I really just don't even want to unpack and put them away. So I chose two for each of us, and I'm giving the rest away. We survived just fine without any travel mugs for the past month. Those extras won't be missed. I think there's some fear in getting rid of stuff we don't really need. I fear that someday, we'll need that thing I gave away. I fear that our resources won't be able to get us what we need. And in some ways, that's financially responsible. In other ways, though, my fear of letting things go is really because I don't trust God the way I should. 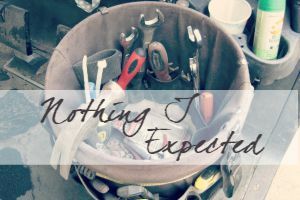 And, if the past month has taught me anything it's that I should trust Him. He'll provide. We've been so blessed. We have so much. I'm not going to feel guilty about it- I'm going to try to use my resources and gifts to bless others. 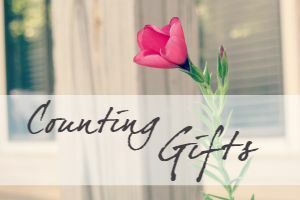 It's not too late to join in the Be the Blessing Challenge- it's still going on until November 20-- and you can still comment on this post here with how you chose to be an encouragement to those around you- and you'll be entered for a giveaway! The odds are really good- so far only 7 people are entered! Do you ever feel like you've got too much stuff? What do you do to keep it under control?